Applications for recruitment of 47 vacant posts of specialist cadre officer in State Bank of India are invited. Interested candidates can apply before the final date by reading the given instructions. The last date for applying is November 22, 2018. Candidates for these positions will be selected on the basis of interview and experience. Age limit – 25 – 35 years. Please see the published notification for age relaxation and other information. How to apply – Candidate for detailed notification and other information. Employment News paper Employment News paper 10 – 16 November 2018 Page No. 58 See. Apply soon – 47 vacant posts of specialist cadre officer in State Bank of India are invited. Interested candidates can apply before the final date by reading the given instructions. The last date for applying is November 22, 2018. Candidates for these positions will be selected on the basis of interview and experience. SBI, the flagship company of the group, traces its ancestry to Bank of Calcutta founded in 1806. It was the first bank established in India, and over a period of time, evolved into State Bank of India (SBI). SBI represents a sterling legacy of over 200 years. It is the oldest commercial bank in the Indian subcontinent, strengthening the nation’s trillion-dollar economy and serving the aspirations of its vast population. The Bank is India’s largest commercial Bank in terms of assets, deposits, branches, number of customers and employees, enjoying the faith of millions of customers across the social spectrum. 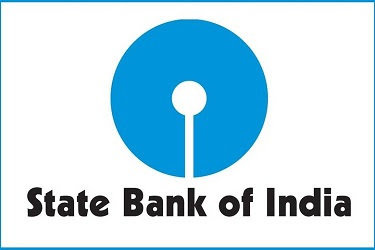 A Fortune 500 company, SBI has entered into the league of top 50 global banks with a balance sheet size of over Rs 30 lakh crore, over 24,000 branches and 59,000+ ATMs serving over 42 crore customers after the merger of its five Associate Banks and Bharatiya Mahila Bank on 1st April 2017. SBI has an overseas presence through 195 foreign offices spread across 36 Countries.